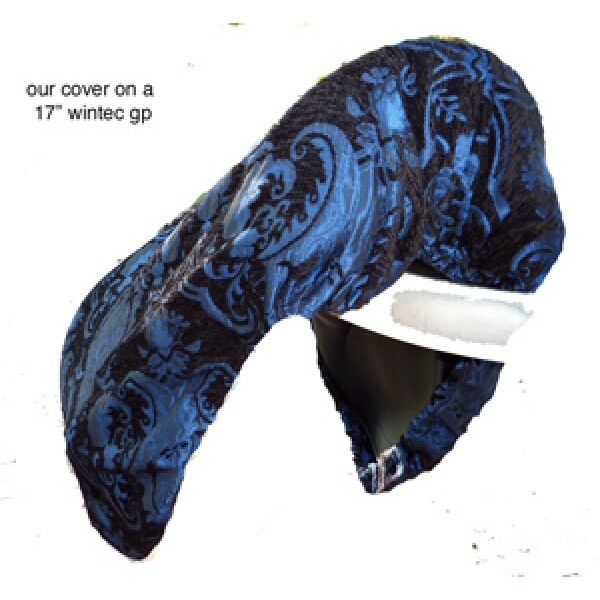 This Cover is not in stock but can be made up with in 7-10 days. 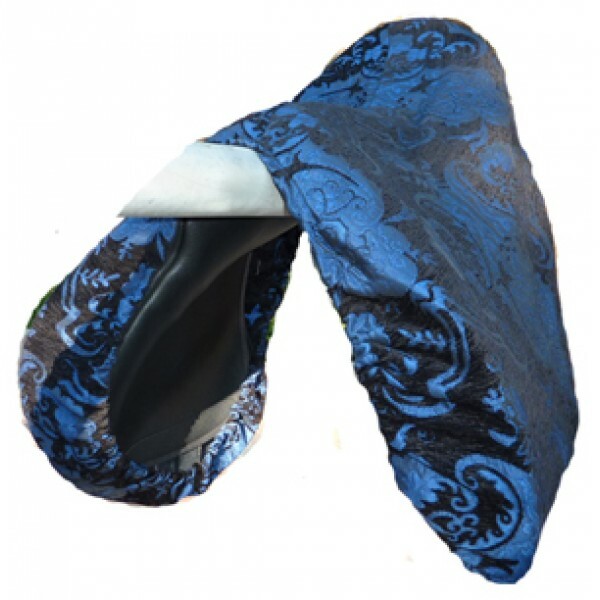 This cover is made out of heavy black chenille with bright blue brocade woven in. The fabric doesn't stretch, fade or shrink. It features our popular "Barcelona fabric. The cover is overlocked all the way around and has a quality elastic cord inserted into a channel all around the cover. 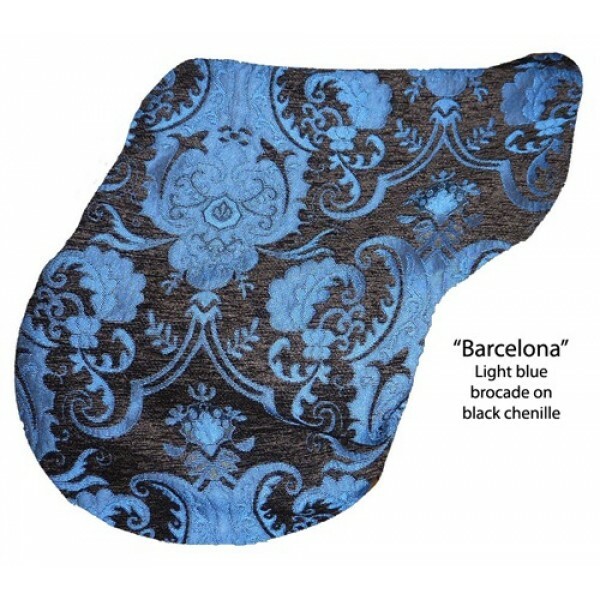 This cover is sized just right for standard Close Contact and All-Purpose Saddles. It is our standard size and will be too loose on small child saddles. Cold water wash and hang dry recommended.